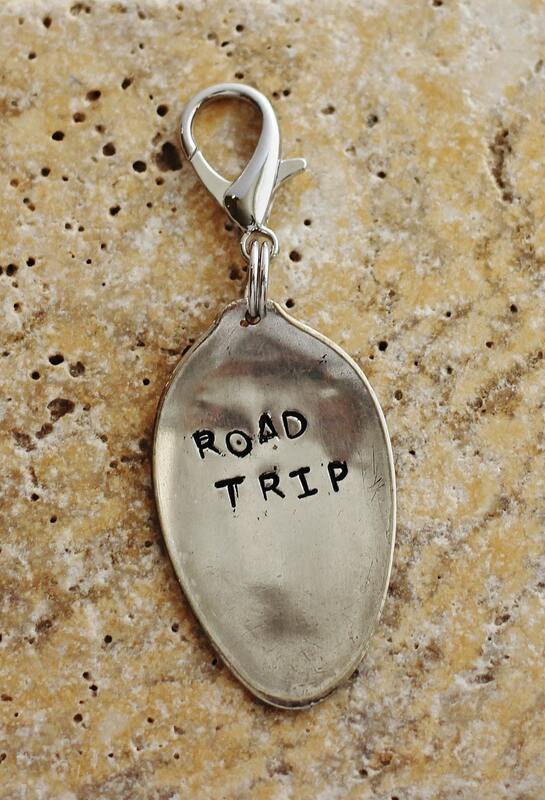 I recycled or re-purposed a vintage spoon to create this 'ROAD TRIP' keychain. 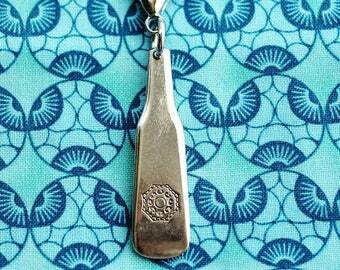 It can be used as a purse or bag charm or just hung somewhere for fun. 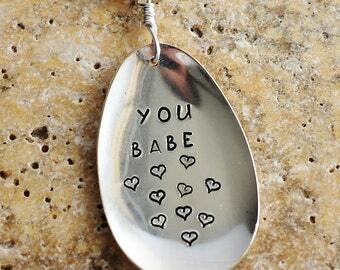 After cutting the handle off of a spoon, I flattened the bowl and drilled a hole. 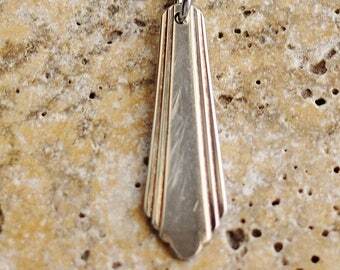 I hand stamped ROAD TRIP as seen in the picture. 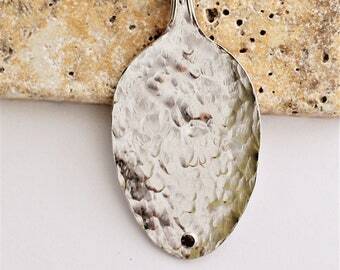 The piece was cleaned and polished, but retained the patina of used, vintage silverware. 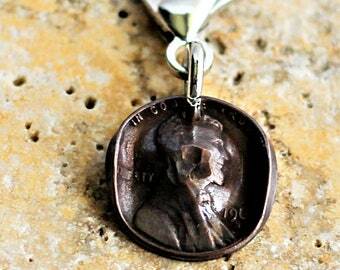 The charm was attached to a large clasp with a sturdy metal ring. 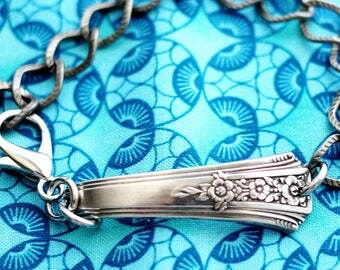 The clasp and charm are 3 inches (76mm) long and 1 inches (26mm) wide.